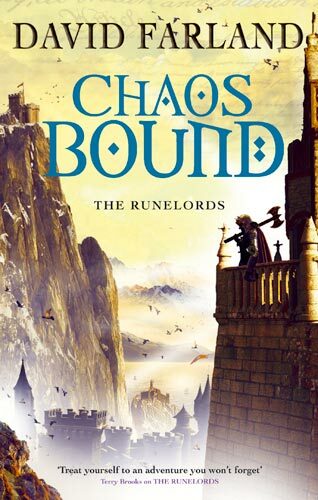 I had hoped that the second series of the Runelord's would have ended with the Wyrmling Horde. It seems this second series is going to be endless (sort of like the Robert Jordan Wheel of Time series). I dislike endless cliffhangers. When series start getting this lengthy open questions from previous books never get answered. I like to know that a series of books covering a certain event and/or certain characters will evolve to a conclusion. Mercedes Lackey's Valdemar series is a wonderful example of an ongoing series but her trilogies always center on a particular person or person(s) and a time/event. I love it when characters I've grown attached to show up again in stories that center around other characters or events but I like to know how it all wraps up. I find that the lengthier the story becomes, the less punch there is to the plot. A book without plot is useless. I'd definitely agree! I rather enjoyed The Wyrmling Horde as a marked step up from the previous books, but it looks like that's been reversed with endless cliffhangers and complications in the magic system. That's why I'm giving up on Farland, unfortunately.